Massage room!We are using original sheet! This building is Century Center. Anai87 massage is 1F of HERE! 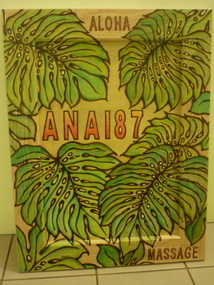 Nice arts here in Anai87 massage salon! Nice view from Anai87 massage salon! Beautiful customer & me(Hanae/massage therapist)! This style is Ashiatsu massage.You can get relaxing!